President and Founder, Denbar Robotics, former Astronaut. Dan is a former NASA astronaut and a veteran of three space flights, four spacewalks and two trips to the International Space Station. He retired from NASA in 2005 and started his own company, Denbar Robotics that creates robotic assistants for home and commercial use, concentrating on assistive devices for people with disabilities. He received numerous honors. A few of them are the following: 2000 and 2002 NASA Exceptional Service Medals, 2001 Top 10 in the world career spacewalk hours, 100 Most Notable Princeton Graduate School Alumni of the 20th Century, Harvard Medical School Paul J, Corcoran Award and honorary doctoral degrees from Beloit College and St. Louis University. Dan is also a frequent speaker and has given keynote addresses to audiences throughout the world. Dan’s educational background includes a bachelor of science degree in electrical engineering from Cornell University in 1975; a master of engineering degree and a master of arts degree in electrical engineering/computer science from Princeton University in 1977; a doctorate in electrical engineering/computer science from Princeton University in 1980; and a doctorate in medicine from the University of Miami in 1982. He has seven patents, over 50 articles in scientific journals and has served on two scientific journal editorial boards. He has film and television experience as well, including roles in two documentary films and as a cast member in season 12 of CBS Survivor. 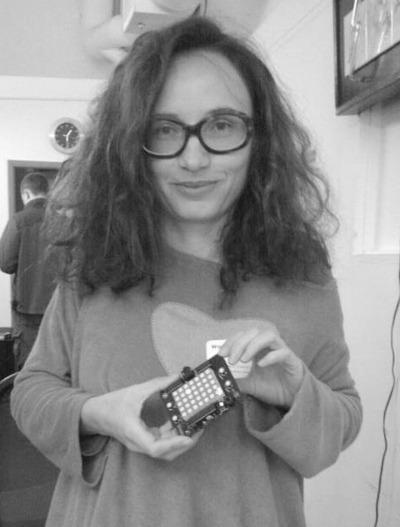 Denisa Kera is a philosopher and a designer, one of the initiators of the GeekDiplomacy.org network supporting research in developing countries. She builds design prototypes, critical probes and tools for common people around the world to reflect, deliberate and participate in emergent science and technology issues. She follows and studies science community labs, alternative R&D places (Hackerspaces, FabLabs, DIYbio) as a new model of how to connect policy and design. She has extensive experience as a curator of exhibitions and projects connecting art, technology and science, and previous career in internet start-ups and journalism. Currently, she works as an Assistant Professor at the National University of Singapore and Asia Research Institute fellow, where she is trying to bring together Science Technology Society (STS) studies with Interactive Media Design. Daniel Kraft is a Stanford and Harvard trained physician-scientist, inventor, entrepreneur and innovator. Dr. Kraft has over 20 years of experience in clinical practice, biomedical research and healthcare innovation. Daniel chairs the Medicine track for Singularity University and is Executive Director for FutureMed, a program which explores convergent, exponentially developing technologies and their potential in biomedicine and healthcare. Following undergraduate degrees at Brown and medical school at Stanford, Dr. Kraft was board certified in the Harvard combined Internal Medicine and Pediatrics residency program at the Massachusetts General Hospital and Boston Children’s Hospital. He went on to complete Stanford fellowships in hematology/oncology & bone marrow transplantation, and extensive research in stem cell biology and regenerative medicine. He has multiple scientific publications (including in Nature and Science), medical device, immunology and stem cell related patents through faculty positions with Stanford University School of Medicine and as clinical faculty for the pediatric bone marrow transplantation service at UCSF. Founder and Director of Fundación Escuela Nueva, and original co-author of the Escuela Nueva (New School in English) pedagogical model, known worldwide for its proven effectiveness in improving the quality and relevance of basic education. Initiated in Colombia, Escuela Nueva became a national policy reaching over 20,000 rural schools. Over the following decades, the success and effectiveness of the model inspired further implementation throughout Latin America and the Caribbean, Uganda and the Philippines. To date, Escuela Nueva has been adapted to urban and internally displaced populations, and has been implemented in 16 countries, reaching over 5 million children. Internationally, she has been recognised as an Outstanding Social Entrepreneur by the Schwab Foundation, founded by the President of the World Economic Forum; and a Leading Social Entrepreneur and Senior Fellow of Ashoka. In Colombia, she has been selected among the 100 most influential women of Colombia's history. Tony Seba is a lecturer in entrepreneurship and clean energy at Stanford University. He brings 20+ years of solid operating experience in fast-growth high tech and clean tech companies. He was the founder and CEO of PrintNation.com which he led to market leadership, raised more than $31 million in venture capital, and won winning such top industry awards as the Upside Hot 100 and the Forbes.com B2B ‘Best of the Web’. He was previously an early employee at Cisco Systems and RSA Data Security in strategic planning and business development. He is the author of "Winners Take All - 9 Fundamental Rules of High Tech Strategy" and "Solar Trillions - 9 Market and Investment Opportunities in the Emerging Clean Energy Economy." Tony Seba holds an M.B.A. from Stanford University Graduate School of Business and a B.S. in Computer Science and Engineering from the Massachusetts Institute of Technology.